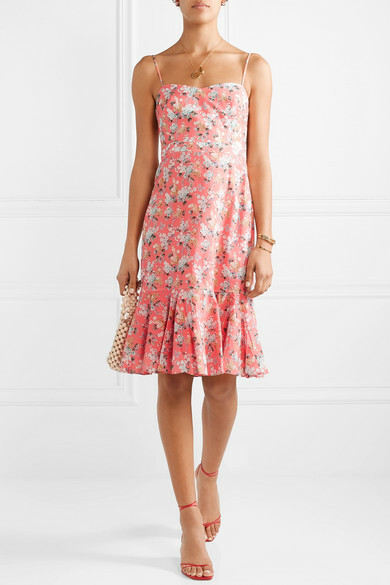 J.Crew's 'Tana' dress is printed with bouquets of dainty pastel blooms that pop against the coral background. 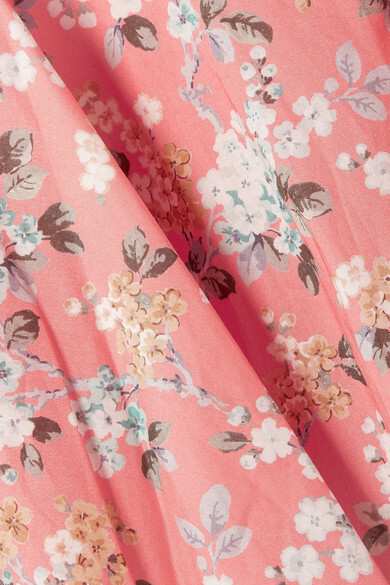 Perfect for garden parties or outdoor weddings, it's cut from soft cotton-poplin and has a sweetheart neckline and figure-skimming silhouette that kicks out to a fluted hem just above the knee. Wear it with gold jewelry and a beaded bag. Shown here with: Rosantica Tote, REJINA PYO Sandals, Sophie Buhai Cuff, Sophie Buhai Earrings, Alighieri Necklace, Chan Luu Cuff, Alighieri Necklace.